For the fifth (would be sixth if Mother Nature cooperated) time, I have successfully completed the St. Jude Half Marathon in Memphis, TN. And that is where the good news stops, at least for my personal performance. To say that I finished the 2016 race calendar with a whimper would be an understatement. Actually, to call my 2016 in running anything but an unmitigated disaster would be an understatement, but that is not the point of this review. A wonderful shot of the race crowd. Pic is not my own. 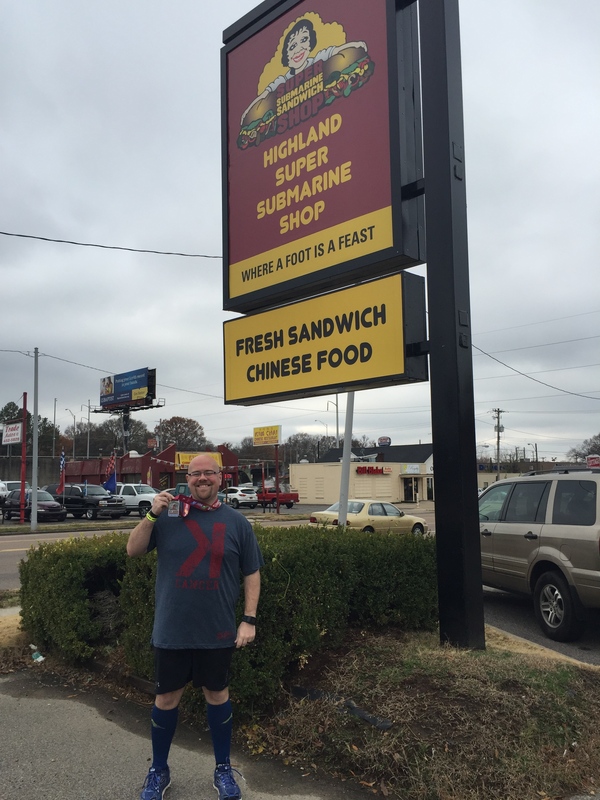 My love for the St. Jude Memphis Marathon Weekend is well documented on this blog and throughout social media. I return to the race year after year, regardless of my training level to complete the 13.1 miles. And no year tested this dedication like 2016. For starters, I did not train like I should. This is no one’s fault but my own. I could have gotten up earlier, I could have made arrangements, but I let the excuses win. But to make matters even worse, I spent the Thursday night before the race in the ER with my son with croup. And obviously his health comes before all else. So after spending the night in the ER receiving treatment, we were able to come home around 6:00 am. At this point I was at the 24 hour mark of no sleep. I smarter man would have called in sick and rested all day, but I had a project due so I went into work. And I stayed there all day. Now I am at 35 hours of no sleep. My wife decides that take our son to her parent’s house for the evening so I can get some rest before the half marathon, and she is a saint for this. I finally go to bed around 8:00 pm, which eclipsed the 38 hour mark of consecutive hours awake. My alarm was set for 5:30 am, so let’s just say that my two-day average of sleep was not great. 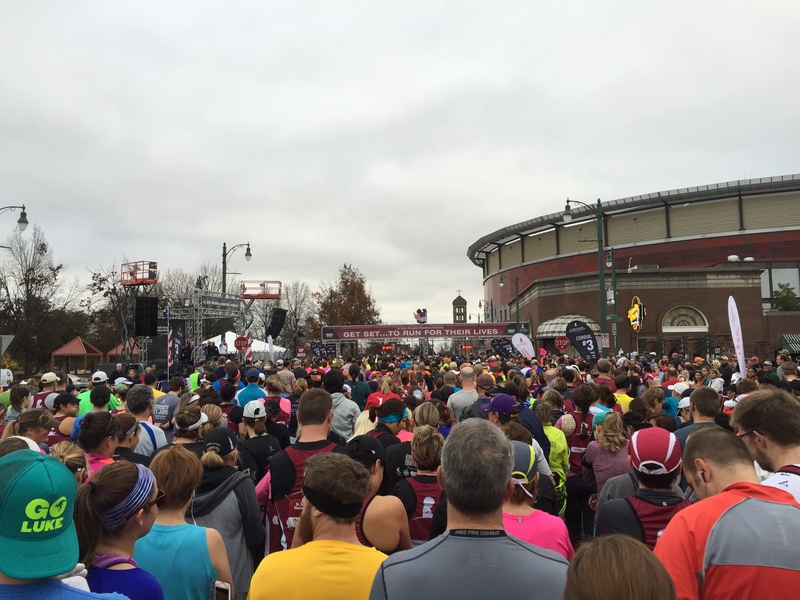 The forecast for the race was cold, with some rain, and both occurred throughout the morning. I had a rain jacket early in the race, but ditched it because I was overheating and thought that we had missed the rain, which was not 100% accurate. Within 30 minutes of discarding of my jacket, the rain began. It was more of a heavy drizzle and dropped my core temperature more than making me uncomfortably wet. Luckily for me, my decision to ditch my jacket was not a total disaster. The last four miles, however, were a total disaster thanks to my lack of training and haphazard race prep. My legs quit on me. At first it was cramps in my right calf, then my left calf. Then my left knee started feeling like something was running around inside of it. I no longer could run even a few feet. The Nuun or water on the course was not helping. The Gu I brought did not help. I was resigned to walking the last four miles or so of the course, or quitting. Susan offered to come pick me up, but I refused. 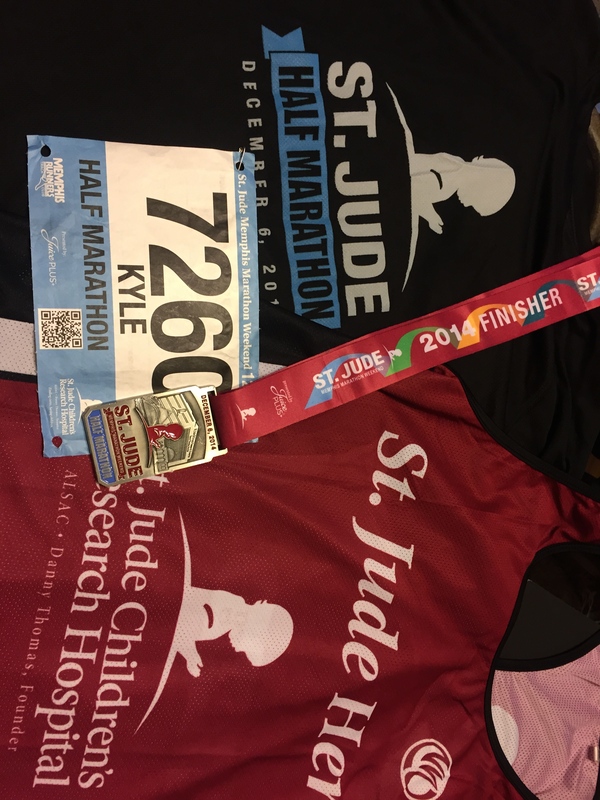 I signed up for the race, I raised the money for the kids of St. Jude, I had people cheering me along the course, including my wife and son, I had made it this far, so I was finishing this race! And so I limped along, trying to jog every few minutes, until I crossed that finish line at my glacial pace. This beer was the most helpful refreshment on the course! Thank you, High Cotton Brewery! Swag: B: I like the medal, I was disappointed in the shirt. The medals have gotten progressively better over the years, with last year’s race being the high watermark for the finisher’s medal as well as participant shirt. Course: A+: I love the changes to the course this year. Removing the long stretch of boring miles along North Parkway, the paved path through Overton Park, and the uphill climb on Poplar Ave was a gift from above. Adding in more time through Overton Square and the surrounding neighborhoods made the changes even better. Hopefully this was not a one year course deviation. Nothing beats an on course family photo! 2016 marks the 15th year of the St. Jude Marathon Weekend, and with it, St. Jude is introducing a new race distance! In years past, have you felt that the 5K was not challenging enough, yet the idea of the half marathon or marathon was still too daunting? Well, this year, you are in luck! St. Jude has decided to provide potential race participants with the option of running a 10K for the kids! I will still be either running the half or the full marathon, but I am excited that even more people can participate in this wonderful race weekend. More info can be found here. 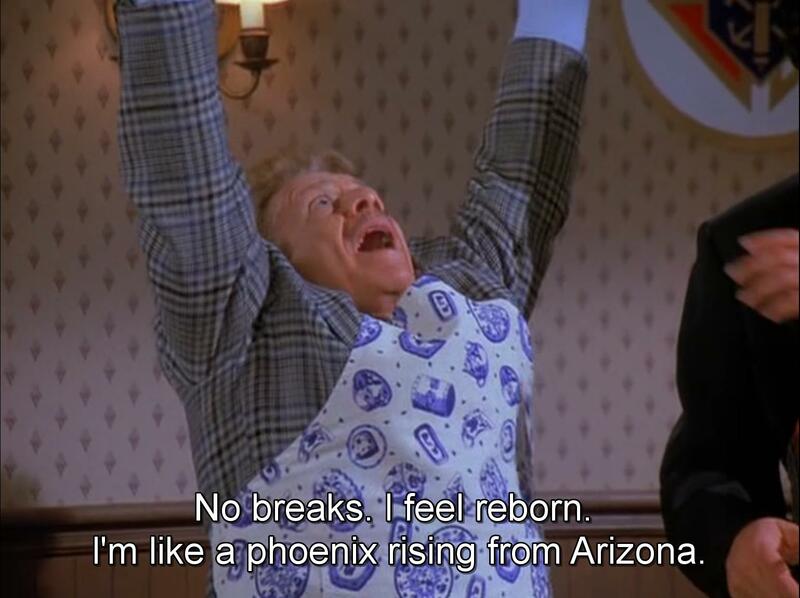 2016 is going to be all about getting back to basics, and being the best Kyle that I can be. Top of the list will of course be the best father as possible, and every choice in which I make must factor my son and how it will impact him into it. That being said, this list is what I am aiming to do in 2016 to better myself and my community. Embrace my spirituality. I have gotten so far away from this over the past few years that I am not sure where to even begin, but I am going to give it my best shot. Read for a minimum of 1 hour everyday. This does not mean playing on Facebook and Twitter for an hour, but reading actual books, magazine articles, and items of significance to expand my knowledge. Be active for at least 30 minutes everyday. To say that I have gotten lazy would be a drastic understatement. Yes, I have had quite a bit going on, but I need to a handle on it. I do not want to return to the 300+ club again. Eat better. This goes hand and hand with my weight and laziness, but I need to do a better job of saying no to fast food and junk. I should completely abstain from these items, but I am going to allow an occasional (not daily) Chik-Fil-A trip or Reese’s Peanut Butter Cup without brandishing too much guilt. Run locally. 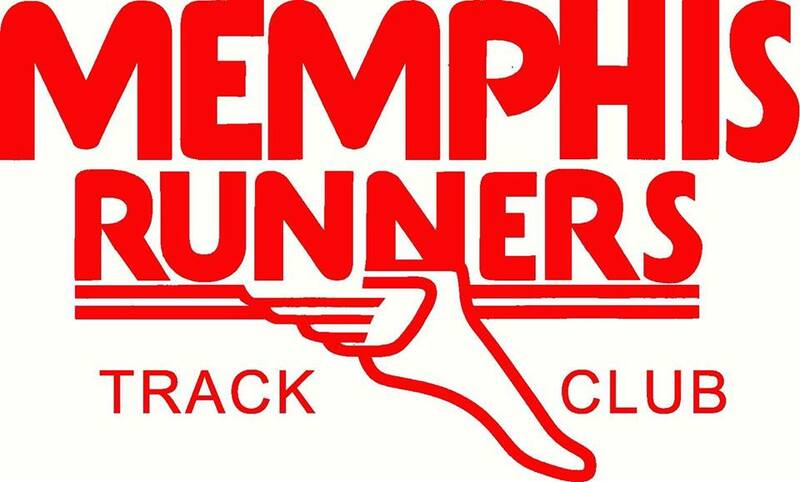 I have complained about the lack of races here in Memphis, but in 2016, there appears to be several new options for the 13.1 distance and beyond, so I am going to so my part and participate (I’ve already added the Mainly Marathons and Race 13.1 events in April, and I will be registering for the Great American River Run in May as well). Run more often. 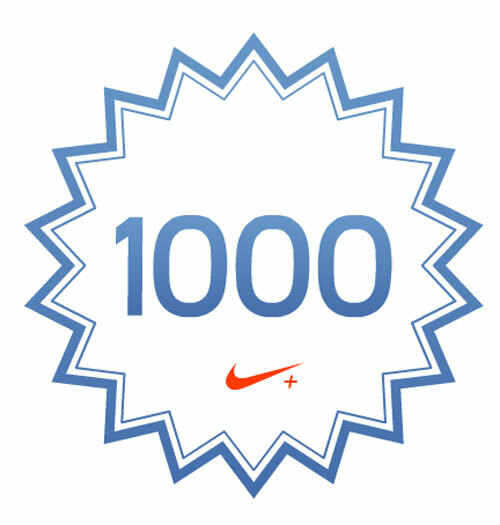 1,000 miles is the goal for 2016. Getting and staying trained for my race calendar is lumped into this goal as well. PR at least 1 race. I do not care the distance, but I want to best my time for at least 1 distance in which I have previously run (no loopholes here) in 2016. 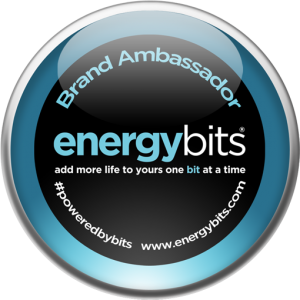 Get more involved in my community. I work for a nonprofit and I do the Heroes thing for St. Jude, but I am currently looking to do more, and one area that I am actively pursuing is joining the board of directors for a nonprofit. I have applied to one board, but since doing so I have discovered more about the organization and decided that it is not an appropriate fit for me. Go to Opening Day 2016. 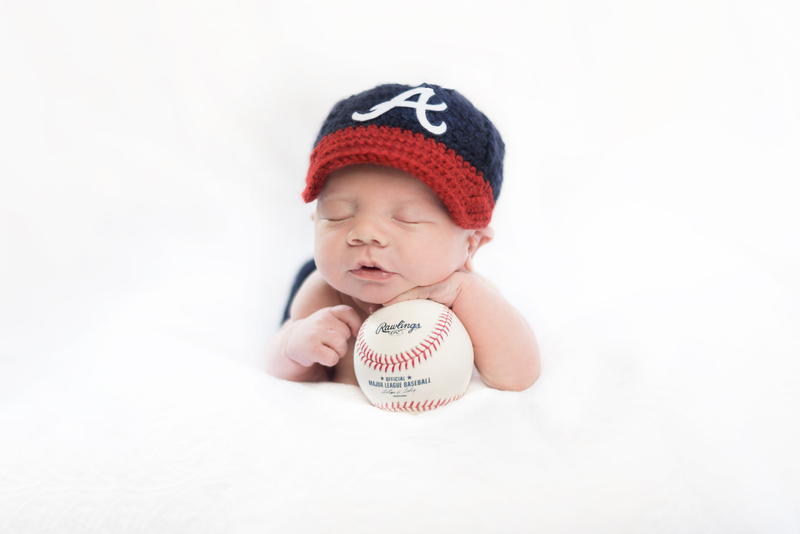 A tradition I want to do with my son is to attend Opening Day for the Atlanta Braves with him every year. 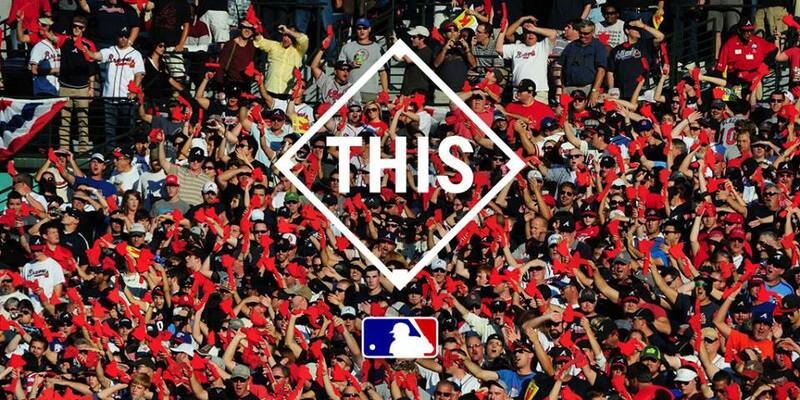 I have already purchased our tickets, and we will be there 3 months today to cheer the Braves on against the Washington Nationals! So there you have it, my short, but lofty goal list for 2016 to be a better me. This list is very attainable, and unless some unforeseen circumstances arise, I should be able to check each one of these off by December. 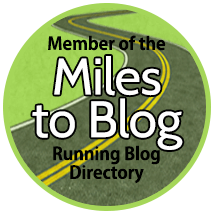 First off, my race recap for the Mercedes Half Marathon should be posted on Monday morning. It has been a hectic week, and I just have not done it yet. In the meantime, I wanted to share with all of y’all the Music Highway medal that I received this week for running the Country Music Half Marathon in Nashville and St. Jude Half Marathon in Memphis as a St.. Jude Hero. 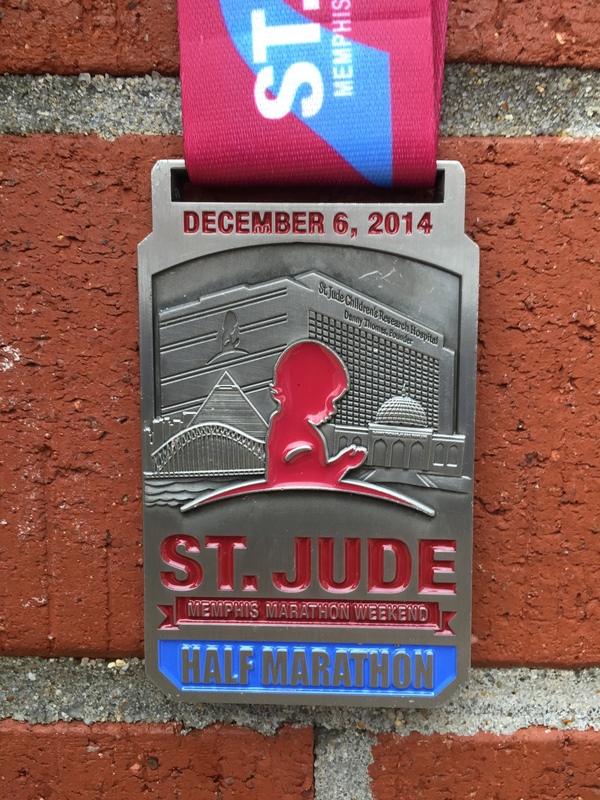 Saturday was the St. Jude Memphis Marathon Weekend, and once again I ran in the half marathon. This is my fourth consecutive year registering for this event, and each time I have taken something new away from the experience. I love raising money for this cause, and the event is always top-notch. This race truly is a great celebration of St. Jude and the City of Memphis, and it is always an honor to participate in it. 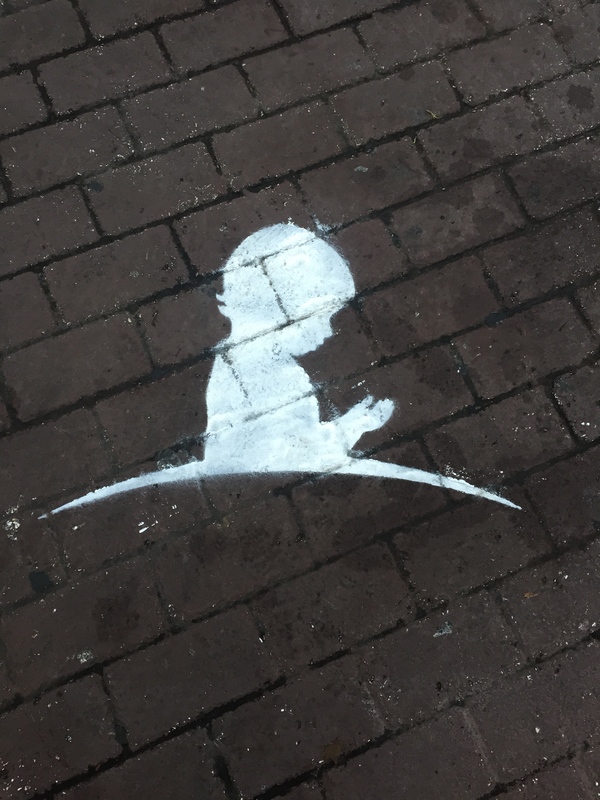 The St. Jude logo painted onto Beale St. There is not much I can about the race that I have not said before, I will give it my best shot. The weather for the race was cool, cloudy, and windy, but there was no rain like the day before or ice like the previous year, so it was certainly bearable. If anything, the weather was slightly warmer than ideal for my personal preferences, but I did enjoy it. One of several pics Susan got of me on the course. 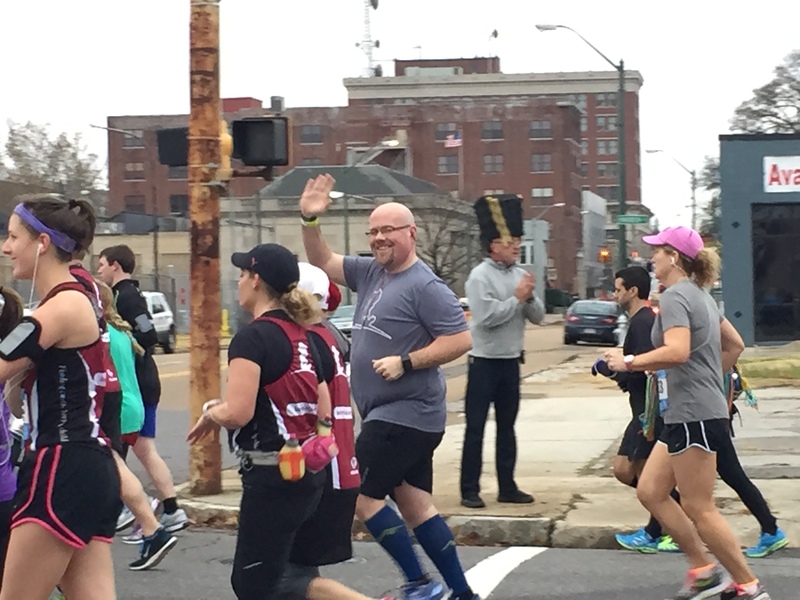 There were a little over 18.000 of us out there running the streets of Memphis on Saturday morning in the various events. This is about the normal amount of runners for the events and the crowding along the course was also about the same. We were crowded at the start, then gained some separation for a few miles, then bottled up a bit going through Overton Park, and stayed in pockets of runners for the remainder of the half marathon. The half marathon was my tenth of the year, fifteenth overall, and my time was solid. I finished in 2:18:03, which is my second fastest half of the year. I started off a little too fast, but overall, I felt good for the vast majority of the race. I did forget about the hills towards the end, and did not have the best plan of attack for them this year, but I survived. There is always next year to break my course, and even overall PR! This very well may become a 2015 goal. 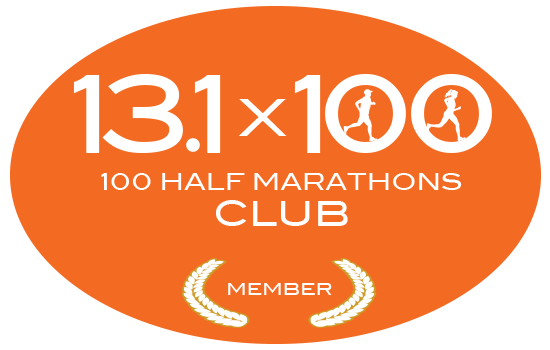 That or attempt the full marathon in 2015. We shall see. Shirts and medal for the 2014 event. 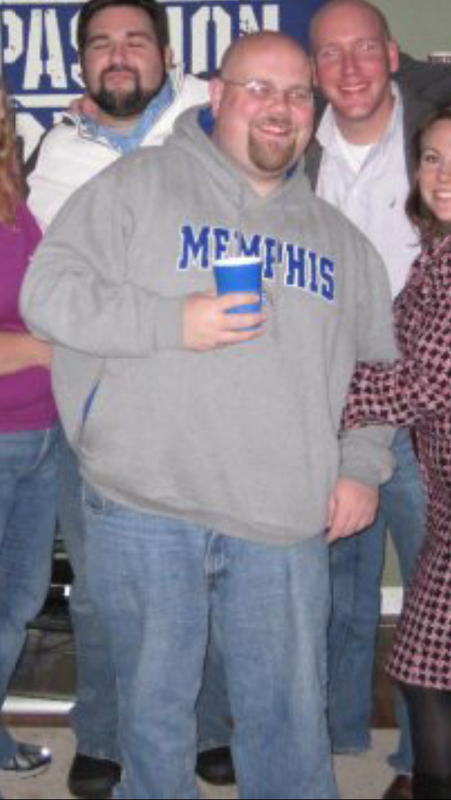 the back of the shirt had the Memphis skyline with St. Jude incorporated into it. Swag: A+: I am always pleased with the expo for this event. There is always several vendors and tons of information available. This is the first year that I actually heeded my own advice and requested a shirt in a size larger than I normally wear. And since I did that, I finally have a St. Jude Half Marathon race shirt that I can wear in different events! Also, this year’s medal is by far the best one that has been offered by the event, and I loved the incorporation of Memphis and St. Jude landmarks onto the medal, as well as the shirt. My Heroes singlet was still too snug for me to run in comfortably, but I did run in my Heroes training shirt, so I was still able to celebrate the kiddos at St. Jude. If it was much colder, then the compression like fit of the singlet would have been welcomed for the run. Far and away the best medal that the event has ever offered. Course: A: The start was slightly revised, following a more straightforward route which is similar to several of the other downtown races. It helped with congestion early in the race a little bit, but did not make or break the race. The highlight of the course, as always, was running through the St. Jude campus. And the marathon actually went through the campus twice! The hills towards the end are tough, but manageable if you have a plan. Great post-race meal at an U of M institution (even if it is no longer by the U of M)! Also, rocking my Strikeout Cancer shirt. Overall: A: As always, I love this event. The logistics for the runner is always top-notch. Even in the heavily congested food and beverage area, there are signs and directions. The only negative was that the beer garden was not clearly marked, and getting to it was not easy. I ended up skipping it altogether, despite wearing my 21 and up id bracelet for the two days prior. 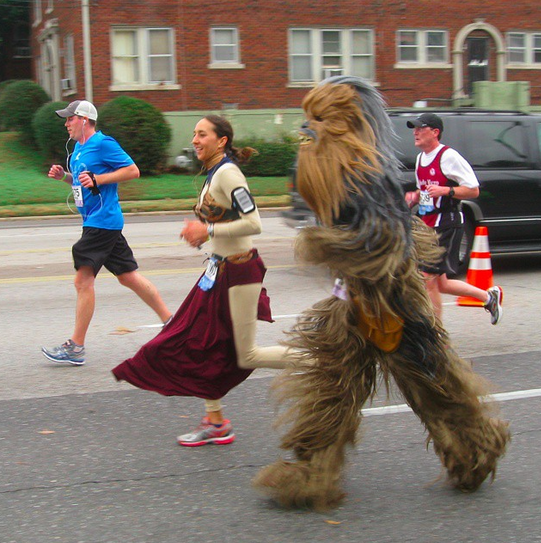 Chewbacca runs Memphis! The best costume in the entire event, and this person ran the full marathon like this! 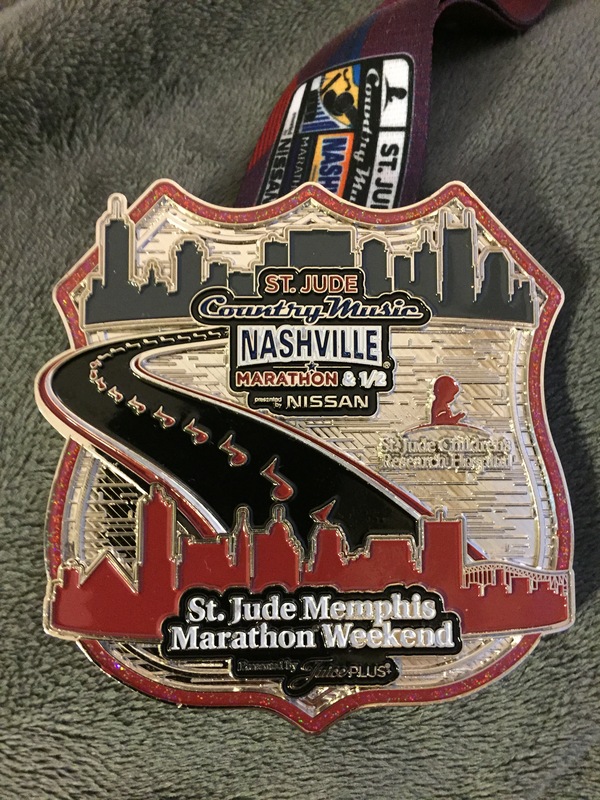 Apology: Several months ago I posted about a special medal that was going to be given out to Heroes raising at least $100 at each of the Country Music Marathon/Half Marathon in Nashville, and the St. Jude Memphis Marathon Weekend. I even put this in a post last week. Well, this did not happen. So, if anyone got their hopes up about this medal, I am sorry for sharing incorrect information. 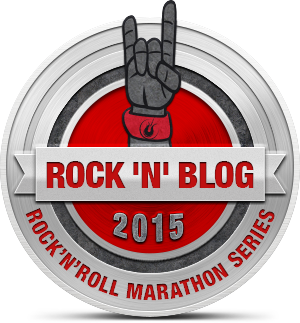 I do not know why the medal was not given out, but the Rock ‘N Roll Marathon site still has the page for the medal up. I received two emails about the medal, one of which said medals will be shipped in a couple of weeks, and one that said that medals were not offered. It sounds like to me that there will be no medals. Update: So I got another email saying that medals will be mailed out in a few weeks. Regardless, take pride in knowing that you efforts helped the children of St. Jude, which are the real reason for these events anyway. Obviously, I plan on running in this event in the future. The only real question is whether or not I run in the half or full marathon next year. The only reason that I am considering the full is because next year’s event falls on my birthday, and that would be a cool way to celebrate!